Heritage conservation has been one of the priorities of the present-term Government. This year, the Government has allocated additional resources for strengthening the protection, promotion and transmission of intangible cultural heritage, exploring the expansion of the Hong Kong Museum of History, making sustained efforts in renovating the permanent exhibition of the Hong Kong Museum of History as well as the Hong Kong Heritage Museum, and also taking forward the advance work of the construction of the Heritage Conservation & Resource Centre, which will serve to enhance the functions and status of our museums in such areas as the collection, conservation, and display of cultural heritage. Furthermore, the Government will work closely with selected non-profit-making organisations through the Built Heritage Conservation Fund to implement the first five batches of projects under the Revitalising Historic Buildings Through Partnership Scheme. We will also continue to process applications in relation to graded historic buildings which are privately owned or leased, with a view to helping prevent deterioration of these historic buildings owing to lack of maintenance. The success in conservation and inheritance of culture depends on the co-operation between the public, the Government and all sectors of the community. It is essential for keeping our culture alive for future generations. 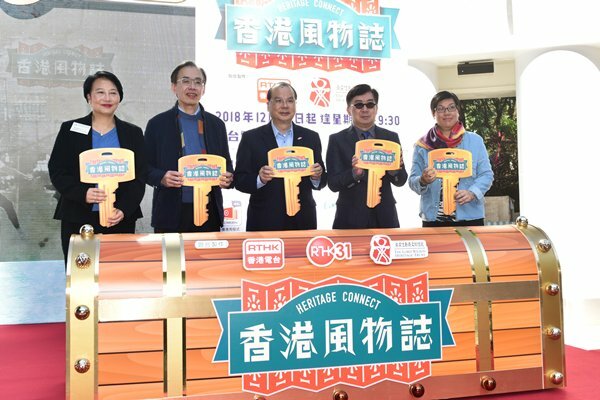 Chief Secretary Matthew Cheung gave these remarks at the 25th Anniversary Celebration Ceremony & Heritage Connect Launch Ceremony of the Lord Wilson Heritage Trust on December 15.